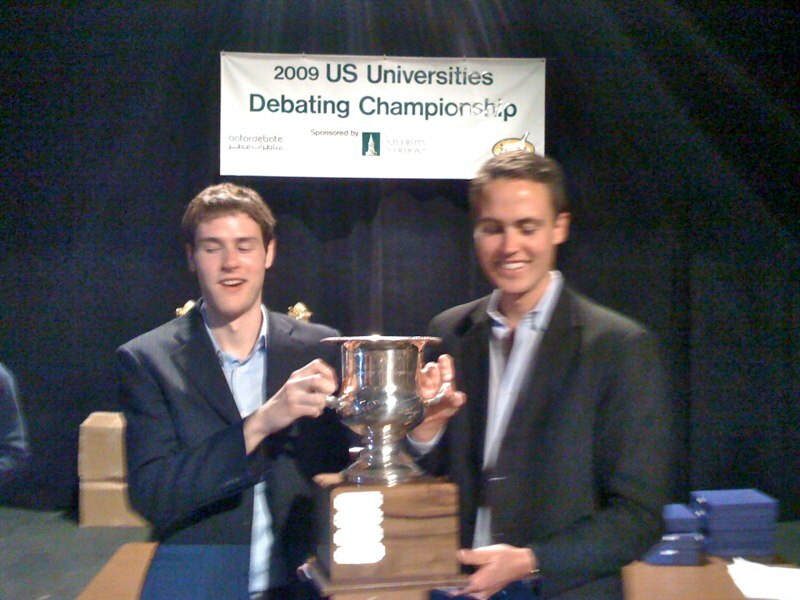 In the spring of 2005 John Meany, of Claremont McKenna, hosted the first United States Universities Debating Championship (USUDC). The tournament was open to any university or college, and featured three days of competition in the British Parliamentary format. There was a break to semifinals, and then a final round to determine the National Champions. There were no CAs or DCAs at the first championship. The tournament hosted schools from as far away as New York and Canada. The final round motion concerned whether or not companies should be permitted to donate money to election campaigns, and the University of Alaska took home the crown. In 2006 Meany began using a CA team, similar to the WUDC, bringing in 2006 World Champions JoAnn Nairn and Michael Kotrly, as well as the eventual CA of WUDC Vancouver, Kevin Massie. 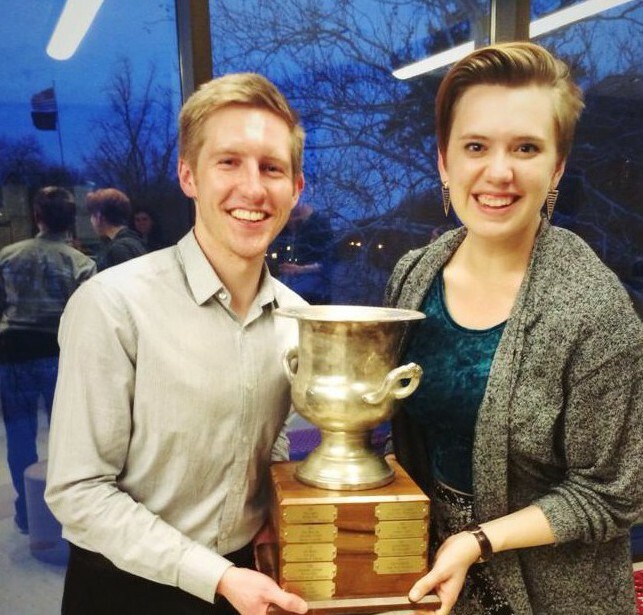 In this second year, longtime APDA and WUDC powerhouses Harvard and Yale entered the competition for the first time, and Harvard ultimately won the tournament to become National Champions for 2006. The following fall Yale hosted its first BP tournament, drawing high-caliber teams and judges from across the country and around the world. 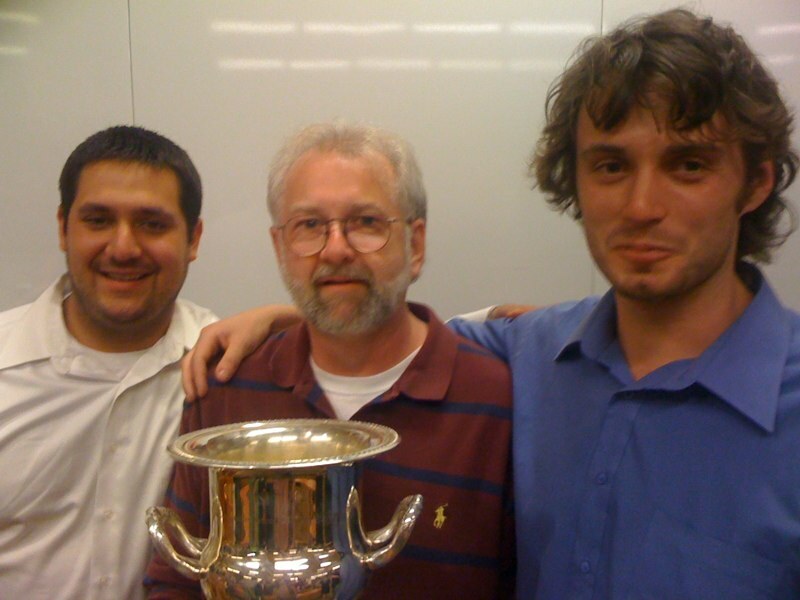 BP debating was now emerging on both coasts, and new schools were beginning to gravitate to the format – a byproduct of the US Championship. The tournament was held at Claremont for a final time in 2007, and the University of La Verne was crowned National Champions. Meany’s hope of having the competition move from university to university was realized the following year, as Portland State agreed to host the USUDC in 2008. At the 2008 tournament a formal bid process was used for the first time, with Vermont eventually declared the hosts for 2009. The tournament continued to change location each year thereafter. Denver hosted in 2010, and then the tournament went back to the University of Vermont in 2011. The 2012 to 2015 hosts were, in order, Willamette, La Verne, Purdue, and the University of Alaska Anchorage. The 2016 edition was the first hosted by a historically Black college – Atlanta’s Morehouse. The University of Denver hosted the tournament in 2017, and the 2018 round will be at Stanford. 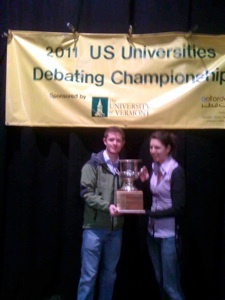 The United States Universities Debate Association (USUDA) was created in October of 2013. The USUDA is responsible for promoting and continuing the US Universities Debating Championship. Steve Llano of St. John’s University, David Register of Bard College, and Sam Ward-Packard of Yale drafted the constitution, and the colleges and universities that attended the 2013 USUDC voted to ratify it the following fall. Membership is open to any university or college in the United States, with no dues required. 2016 National Champions from Tufts, Drew Latimer and Jeremy Chen. National Champions 2015, Tony Nguyen and Edwin Zhang. 2014 US National Champions Jac Stewart and Taylor Blackburn. 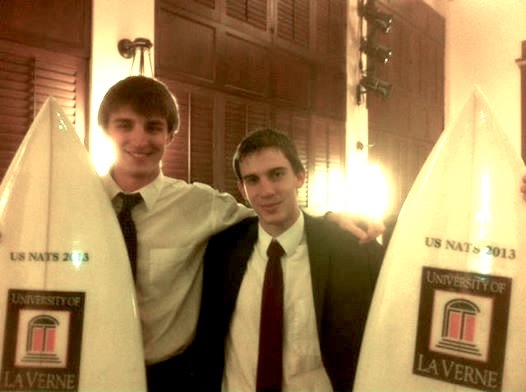 2013 Champions from Yale, Ben Kornfeld and Sam Ward-Packard with their prize surfboards. 2012 National Champions Will McConnell and Buzz Klinger, of Hobart & William Smith, with their coach, Eric Barnes. Prior to 2015, international institutions were allowed to compete in elimination rounds at the USUDC. 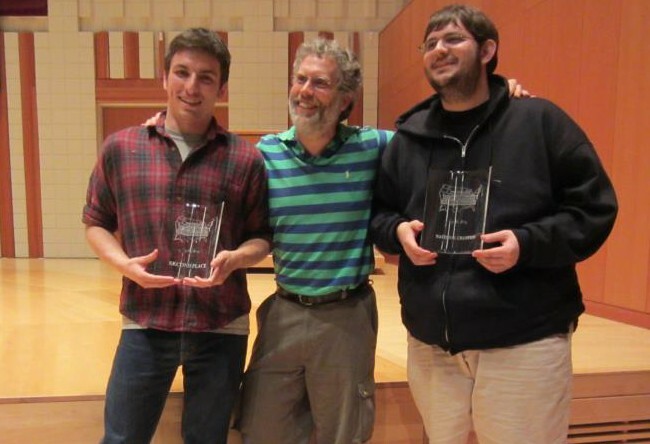 In 2012, at Willamette, a team from Ireland won the Grand Final. In the event, the judging panel selected as National Champions the best team representing an American institution in the final, while the Irish were declared Tournament Champions. Some individual tournament hosts have elected also to identify a first runner-up along with the National Champion, but the USUDA does not officially distinguish between second place teams and finalist teams.